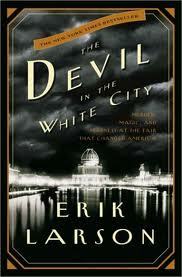 Leonardo DiCaprio will definitely play Dr. HH Holmes, the notorious Chicago serial killer in the film based on Erik Larson's nonfiction book, The Devil in the White City: Murder, Magic And Madness At The Fair That Changed America. 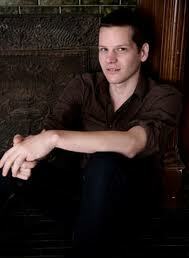 Graham Moore will write the script—no one is completely surprised as Moore has been much talked about of late and was on the Black List with a couple of scripts—that's the list prepared by industry insiders of hot writers and scripts for the upcoming year. 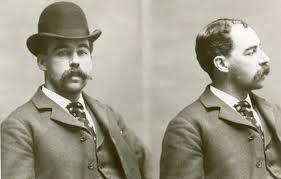 The true story centers on the grisly killing spree conducted by Dr. H. H. Holmes while all around him the city celebrated the 1893 World's Fair. Holmes built The World's Fair Hotel as a cover for his darker purposes. He would charm potential guests—often attractive single women—within and once captive, he murdered as many as 200! Yep, they checked in but they never checked out. He stripped their skeletons to sell for medical and scientific study. The hotel, or murder castle as it came to be called, contained a gas chamber, crematorium and a dissecting table. So creepy! 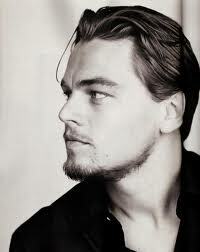 Warner Bros bought the rights from DiCaprio and partners with the caveat that Leo would star. Moore said Holmes was a most likable guy who inwardly was a tremendous monster. "I’m drawn to stories where the role of villain and hero get murky and I thought it would be different to tell the Holmes story from his perspective, and put a little humanity into him. That’s not easy because it’s like trying to care for a caricature and you read the book and every time he does something horrible, you read 10 pages further and he’s done something even worse. In my head, the most unsettling part of Holmes isn’t what he did, but in what ways we notice bits of him that exist inside us and don’t make us feel very good."